Taxation is of great importance not just to the economic health of a country, but also for the development of democracy. In their seminal new book, Mick Moore, Wilson Prichard and Odd-Helge Fjeldstad explain why. Over the past decade, international attention has increasingly focused on the potential contribution of taxation to improved development outcomes. 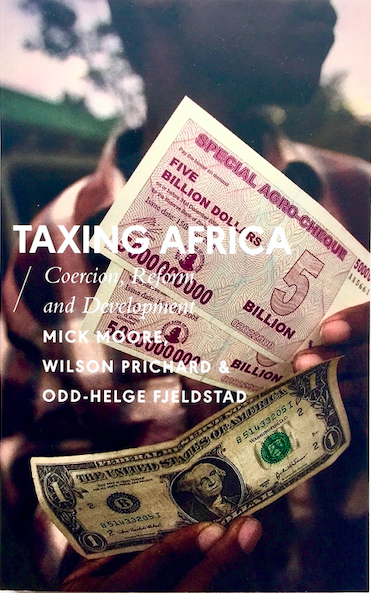 In our recent book, Taxing Africa: Coercion, Reform and Development, we offer an overview of these issues and challenges in Africa. 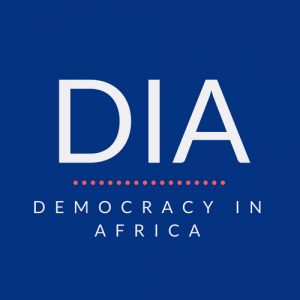 A major objective of the book is to highlight major political questions about taxation in Africa, to help point to new ways of thinking about potential policy responses and to inspire further research. Why is studying the politics of taxation so important? For three broad reasons. Politics shapes taxation: Politics is pivotal to shaping the overall character of tax systems and the success and failure of tax reform. We cannot understand tax challenges without understanding the politics behind them. Taxation tells a political story: By understanding the key features of tax systems, we can learn much about broader politics and the distribution of political power within society. Taxation shapes politics: There is now a broad body of research that demonstrates both the potential for taxation to be a catalyst for broader state building and the practical challenges to the realisation of this potential. Historically, taxation in Africa has been understood as the preserve of technical experts. Experience elsewhere in the world offered clear templates for reform. Tax reforms were frequently designed in near-secrecy, to try to avoid popular scrutiny and resistance. To some extent, this approach to reform has been successful. Since the late 1980s, the formal structure of African tax systems has been transformed: the introduction of VAT, sharp reductions in trade taxes, lower marginal income tax rates, significant simplification of tax structures, and widespread administrative reform including the creation of semi-autonomous revenue authorities and substantial automation in many countries. Across much of the continent, government revenues have steadily increased. Yet significant weaknesses remain, particularly in relation to taxing natural resource extraction, and the income and wealth of elites. This serves as a reminder of the central political challenge of taxation: the most important taxpayers are often relatively well organized and politically influential, while those who stand to benefit from tax reform and the related public spending are frequently relatively poor, distrustful of taxation, and weakly organized. This not only shapes formal tax policies, but perhaps more importantly has shaped the administration of tax systems: simple technical measures that that would increase the exposure of powerful groups to tax collectors have been stubbornly resisted. Nevertheless, the story of taxation in Africa is not all bad. Governments committed to expanding revenue collection, including through income taxes, have sometimes seen large gains, as with Rwanda and Ethiopia. In individual cases, governments have been able to mobilize popular support for new taxation by linking it more explicitly to benefits, for example in Sierra Leone and Nigeria. Motivated tax administrators have found political space to advance new initiatives despite political risks, as in Uganda. And civil society has become increasingly vocal in calling for fairer taxation, particularly in relation to the extractive sector and international taxation, but also at the local level. public finances are one of the best starting points for an investigation of society, especially although not exclusively of its political life …The spirit of a people, its cultural level, its social structure, the deeds its policy may prepare – all this and more is written in its fiscal history, stripped of all phrases. He who knows how to listen to its message here discerns the thunder of world history more clearly than anywhere else. The recent history of taxation in Africa contains many such stories. We highlight two here. The first is about the continuing power of elites to shape policy and administrative outcomes, even in democratic states. Standard theories of democracy would lead us to expect significant pressure for more effective taxation of the wealthy, as the vast majority of citizens would benefit from increased public spending. Yet virtually everywhere, taxation of the wealthy remains ineffective: overall collection of income and property taxes is a fraction of levels in OECD countries; taxation of professional incomes and capital gains are often almost negligible; corporations benefit from poorly monitored tax exemptions, and so on. Meanwhile, there is growing evidence that much of the cost of poor enforcement of taxes on the rich falls on the poor – through a combination of fragmented subnational taxes, formal and informal user fees, reliance on community associations for services, and the broad reach of informal taxation. While there are real technical challenges involved, outcomes on the ground cannot be understood without reference to the reality of skewed political influence. A second, and more hopeful, story relates to growing demands for public participation in shaping government policy. Tax reform has historically been undertaken overwhelmingly outside of public view. But civil society has increasingly pushed for a seat at the table, with tax stories progressively becoming a subject of public attention and debate. This has been imperfect and unequal: capacity for engagement remains limited and larger business associations have enjoyed more success in opening up tax debates than have smaller taxpayers. Meanwhile, tax advocacy has been constrained by the broader crackdown on civil society in many countries. However, the historical direction of change has been clearly in the direction of greater public engagement. The growing desire for public engagement speaks to the broader hope of those interested in taxation: that the expansion of taxation will not only raise more revenue, but will spark processes of “bargaining” between taxpayers and their governments over what revenues are collected, and how they are spent. At its best, this bargaining over taxation can provide the foundation for broader popular mobilization, and the expansion of accountability. This, in turn, is critical to the broader argument for expanded taxation: absent reciprocity, taxation may be little more than the coercive extraction of revenue by unaccountable states. There is now clear evidence that this is possible. Countries rich in natural resources, and thus less reliant on taxation, are also less likely to bargain with, and be accountable to, their citizens. And we have increasing evidence of the ways in which the imposition of new taxes can spark taxpayers to engage, while giving them leverage over governments through the threat of resisting or evading taxation. Yet positive links between revenue and spending are not guaranteed. The construction of meaningful “fiscal contracts” depends largely on empowering a broad base of taxpayers to make demands for reciprocity and engagement. This, in turn, suggests that efforts to engage and empower taxpayers should become a more central feature of the planning and design of tax reform. Our book highlights specific strategies both for designing tax reform in ways that can promote this goal, and for strengthening the role of civil society in tax debates. Wilson Prichard is an Associate Professor at the Munk School of Global Affairs and Public Policy, a Research Fellow at the Institute of Development Studies, and a Research Director of the International Centre for Tax and Development. Mick Moore is a Professorial Fellow at the Institute of Development Studies and the founding CEO of the International Centre for Tax and Development. Odd-Helge Fjeldstad is a Research Professor at the Chr. Michelsen Institute, an Extraordinary Professor at the African Tax Institute, and a Senior Fellow of the International Centre for Tax and Development. Next articleFake News in Africa – How Big is the Problem?